Happy Friday! Today’s Foodie Friday post focuses on the true magic that can take shape when powerhouse varietals are blended together in order to highlight the best characteristics of each one. Bordeaux is perhaps the classic example of how grape varietals can be used to bring out the best in each other; combined in a way that contributes the best characteristics of each grape in order to elevate the final wine’s entire profile. At least, that’s the goal. In 1988, a collective of American winemakers formed the Meritage Association (which is now the Meritage Alliance), taking their name from the amalgamation of the words “merit” and “heritage” (which, by the way, is how Meritage is pronounced – it rhymes with heritage). 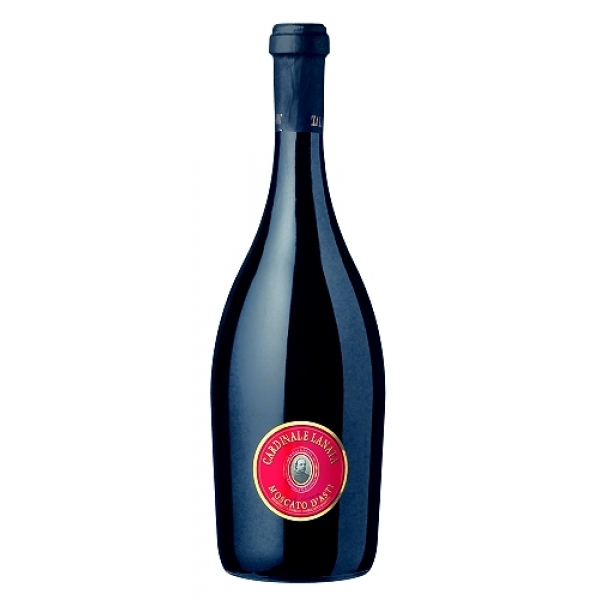 Believing that blending grape varieties to make a better, more expressive wine is one of the highest arts in winemaking, the Alliance was formed to identify high quality wines that cannot be varietally labeled because they do not consist of at least 75% of a single grape variety. The initial mission of the Alliance was to standardize and increase visibility for the American version of these Bordeaux blends. Today, Meritage is still made using the “noble” grape varieties. These include Cabernet Sauvignon, Merlot, Petit Verdot, Malbec and Cabernet Franc for red blends, and Semillon, Sauvignon Blanc, and Muscadelle du Bordelais for white wines. Like Bordeaux blends, Meritage can fetch impressive prices, but that doesn’t mean that high quality versions aren’t available at a more palatable price point. 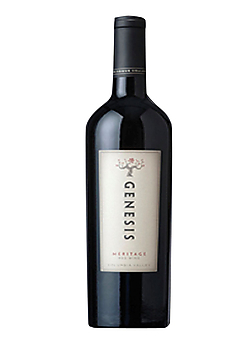 Case and point: Genesis Meritage by Hogue Cellars. This wine from Columbia Valley, Washington is available at $12 a bottle, and packs a beautiful nose of blackberry and fig, with more dark fruit, delicious vanilla, and warm spice coming through on the palate. With its soft tannins and full body, this wine makes the perfect dessert pairing. For this Foodie Friday pairing, I’m keeping it super simple (it being the Friday before a holiday weekend – I know you have BBQs and celebrations to plan): pair this wine with Ghirardelli assorted dark chocolate squares. 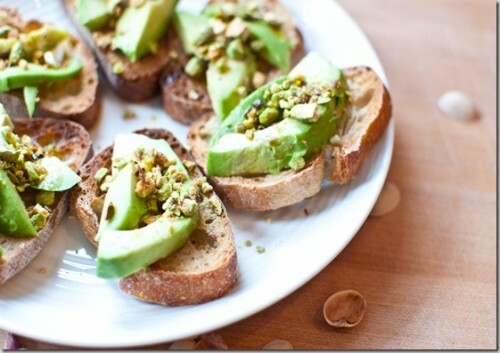 Since these are bite size and come in a great variety, this pairing really lends itself to a backyard party (and won’t overwhelm those who may have already, ahem, overeaten). Enjoy your Memorial Day weekend, and please don’t forget to take a moment and raise a glass to all our Servicemen and Women who make incredible sacrifices for all of us! Cheers! This blog is about wine. Devoted to adventures in oenophilia and all great things grape. But every so often, a stunning ingredient steals the show; one that truly makes a meal exquisite. 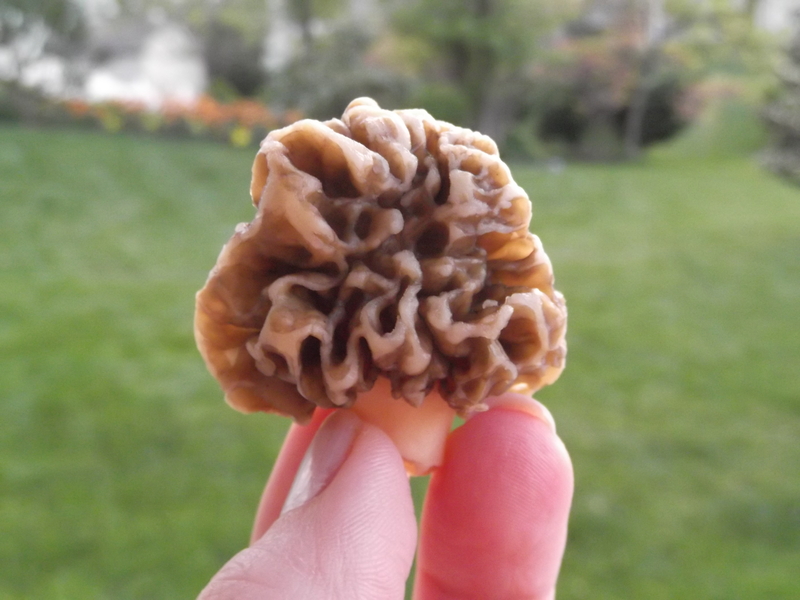 Such is the case today with the magnificent morel mushroom. This funny-looking fungus is highly sought after this time of year. Imparting an extremely decadent yet delicate flavor, they are often the centerpiece of springtime culinary creations. 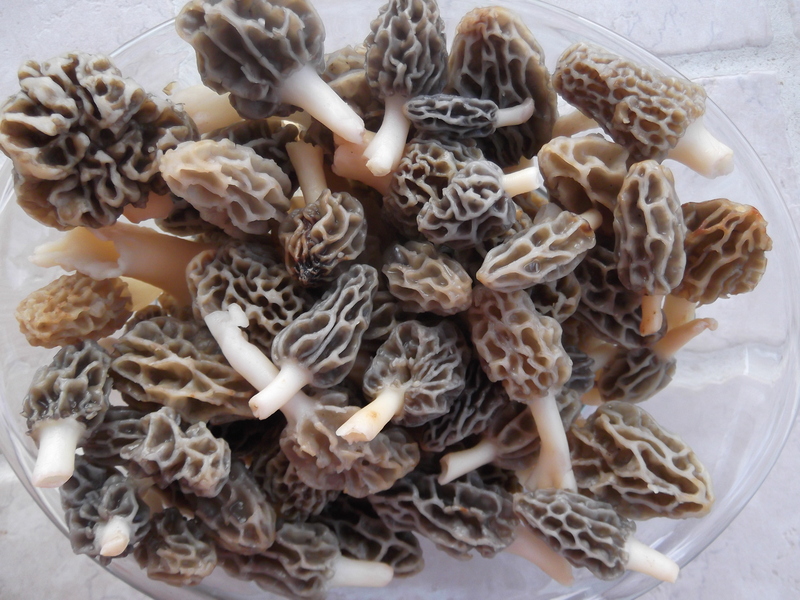 Morels appear once a year, magically conjured by some complex formula of ground temperature, precipitation and earthen magic. On a recent hike, we were lucky enough to discover these little beauties just waiting to be plucked for a dish that would make them sing. These savory specimens would become the inspiration for what some might call a death-row meal: sautéed asparagus, truffled fresh fettuccini, and filet with a morel mushroom cream sauce. A delightful palette of earthy, uninhibited flavors intermingling to provide what can only be described as a foodgasm. Since morels are an ingredient to be celebrated, we thought we’d through off the reins and break the “rules” with the wine pairing. While most red meat recipes call for a structured, tannic red wine, we paired this spectacular meal with a dry Virginia Viognier. 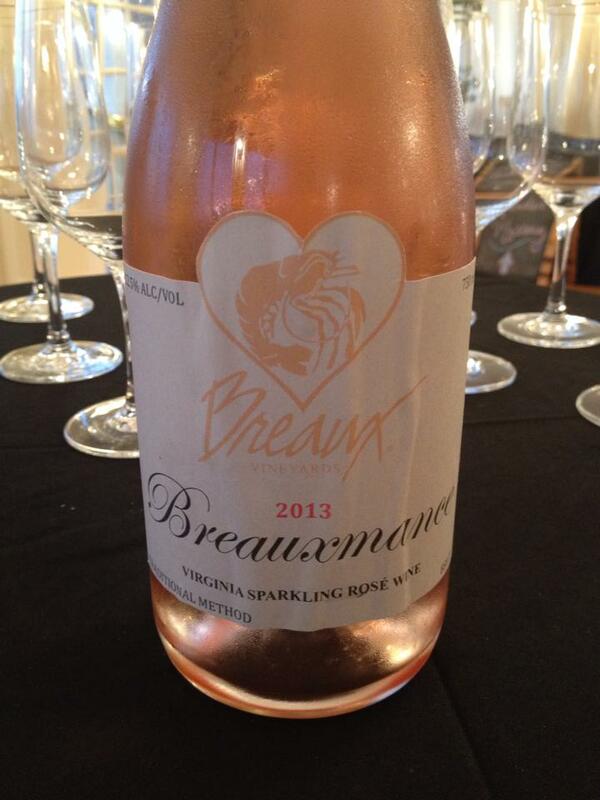 The nuanced flavors in the wine complimented the interplay of food flavors beautifully. Neither outshone or overpowered the other, leading to a gastronomically perfect meal. 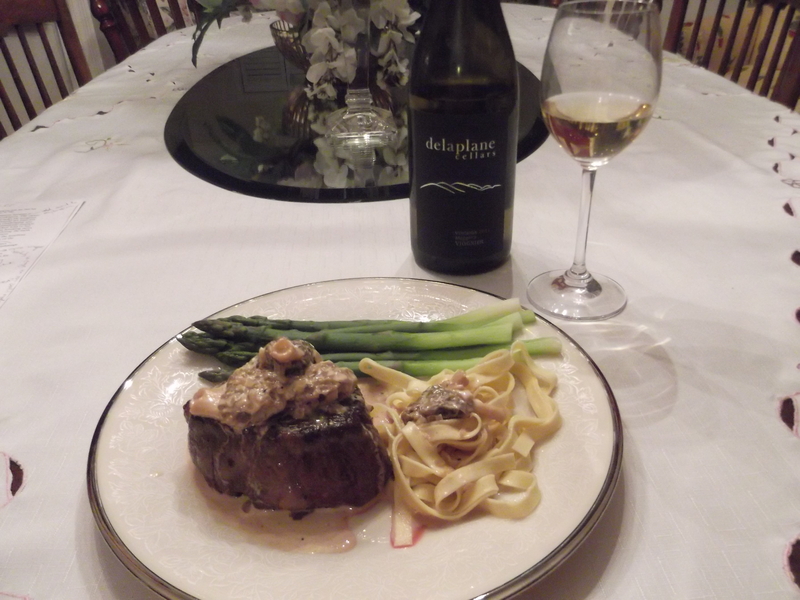 For this edition of Foodie Friday, I give you this morel mushroom cream sauce recipe (paired here with filet) and invite you to use it with, well, anything. Enjoy!